The 2018 Audi A5 is a luxurious coupe that offers a number of premium features. Although the A5 is not touted as a high-performance sports car, it is still incredibly entertaining to drive. Audi’s world-class Quattro AWD system ensures great traction throughout the year. To experience open-air thrills, take the beautiful convertible model for a spin. If you are looking for an Audi A5 sales in the Thornhill area, then Pfaff Audi Vaughan is the place for you! In this article, we will be talking about some of the reasons why you should get behind the wheel of an Audi A5. Read on for more information. Powering the 2018 Audi A5 is a turbocharged four-cylinder engine. With a total of 252 horsepower and 273 pound-feet of torque on tap, the all-new A5 feels noticeably stronger than the previous generation. You will certainly enjoy the coupe’s punchy acceleration. When launched from a dead stop, the A5 can sprint to 60 kmh in an impressive 5.3 seconds. Fortunately, the A5’s additional power doesn’t come at the expense of fuel efficiency. Models equipped with an automatic transmission can return a respectable 10 kpL in town and up to 15 kpL on the open road. Manual-equipped models are nearly just as efficient. The car’s rather strong fuel economy is a key advantage for the drivers who commute daily. Finding a good Audi A5 sale in the Thornhill area includes great fuel economy. Whether you like to shift your own gears or prefer the computer to do the work, you will be impressed by Audi’s available transmissions. The seven-speed automatic transmission never skips a beat. It does a great job of keeping the engine at the ideal rpm. On the other hand, the six-speed manual transmission puts you in total control over the car’s performance. There are a lot of drivers who will like the A5’s graceful styling. It attracts attention without looking too intimidating. The A5’s new “Singleframe” grill helps it to stand apart from the other coupes in the class. Audi fans will also like this car’s sporty stance. While LED headlamps come standard on the mid-level Progressiv trim, optional 20-inch wheels give the A5 an especially commanding road presence. If you are looking for an Audi A5 sale in the Thornhill area, then Pfaff Audi Vaughan is where you need to be. You can also find pre-owned Audi A5’s at our pre-owned sales facility at 115 Auto Park Circle in Woodbridge. 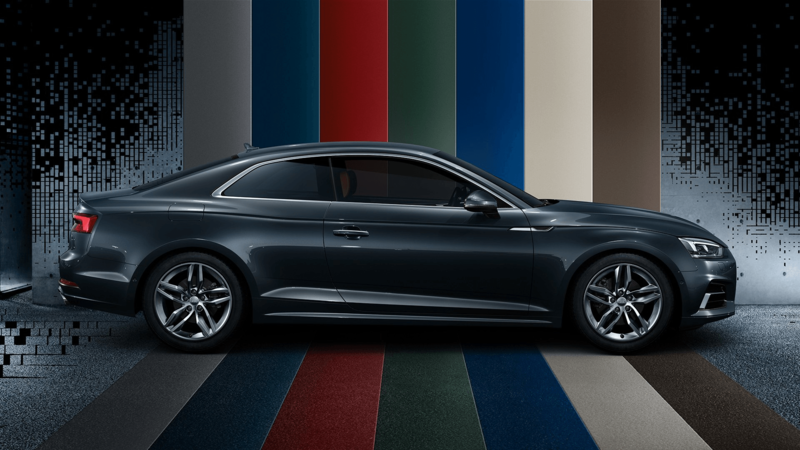 For more information about the Audi A5, please feel free to continue browsing through our website. Click here to find our contact information, schedule a test drive, and to fill out our contact form.